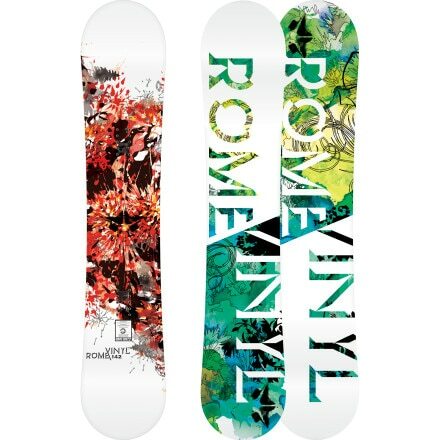 BUY THIS BOARD! IT IS NOT JUST A WOMENS BOARD!...first an explanation, one of my friends has this board and i originaly strapped into it to try out the fit her cartels with my new burton boots...but i rode the board for the rest of the day cuz i didnt want to let it go (i weigh 180 and rode the 149, did fine, screw the tech specks). Its the funnest ride ive ever had in my life. the first thing i noticed about this board is that its SOOOOOOOO light, and that means ZERO swing weight, i could not even feel the board on my feet. spins are a dream on this board, it like just jumpin and spinning withought a board on. i would also buy this board just cuz of how fun it is to butter with, flex is perfect, rebounds just right but soft enough to just pop right on the tip or tail, add in the zero swing weight and youll be butterin like land-o-lakes...pop off the tail is crazy, added a good 6-12 inches to my ollies, probably due to the fact that i was riding a shorter board (went from 155 to 149), but still it pops like crazy. All i could use it for is freestyle and messin around...the second i hit chop with this IT took ME for a ride and bumbed me aroud like a pinball before planting me on my face, lesson learned...not, i still took it on a few black diamonds and had a few close calls with death, THEN it was lesson learned!...few more things, edge to edge was a little slow, really unstable ride, not too fast, but that was all probably because it was so short for me...........................................................BOTTOM LINE IS: if you want a fun fun fun ride, then be a man, buy womens! I absolutely love this board! It rips everywhere from the park to the pipe to the groomers (never ridden it in powder as I am from the ice coast) It is more flexible than my Burton Lux, but not a noodle, so it still holds pretty stable off of decent sized kickers and going as fast as i possibly can! Seriously no lie this board is perfect! It is so responsive and with the directional twin it makes it even better! The flex is really nice. Its easier to butter on the mountain than it is on bread...haha j/p but really if you are a more experianced rider and like doing all things on the mountains, it keeps up with the big boys. A really fun and totally worth it board! You won't be disappointed! !